Holland Consolidated School, in the village of Holland in the Rural Municipality of Victoria, was formed in November 1905 from the consolidation of Holland School No. 390 (established at Holland in 1885) and Dawson School No. 117 (established at NW36-24-6W in 1881). 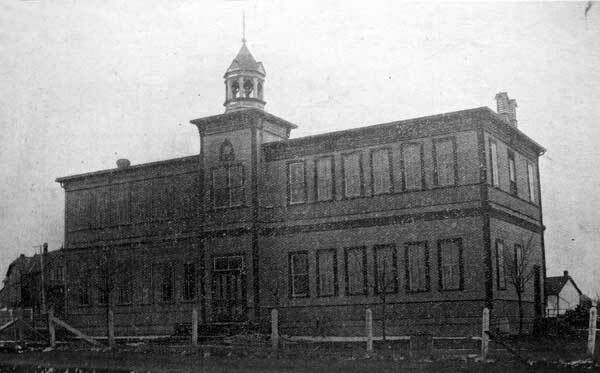 It was one of the first two school consolidations in Manitoba, the other being at Virden. 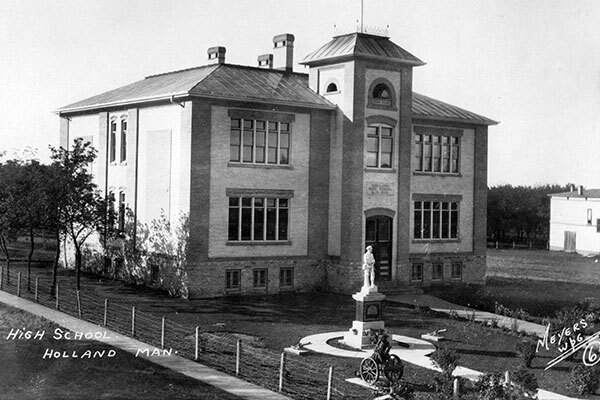 An eight-classroom high school, designed by local architect Andrew Maxwell, was built by contractor R. N. Wyatt at a site facing Stewart Avenue in late 1913, at a cost of $25,500. It was opened in December at a formal ceremony attended by the Minister of Education G. R. Coldwell, Education Chief Clerk Robert Fletcher, School Inspector S. E. Lang, Winnipeg school architect J. B. Mitchell, MLA George Steel, local school board chair W. R. Ross, and former teachers R. J. Mills and A. A. Herriot. A war memorial on the grounds in front of the school is still present at the site, but the school building is gone. 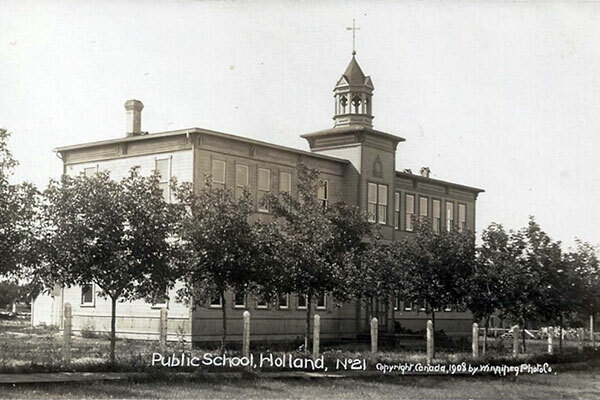 Among the teachers of Holland School were A. J. Manning, R. J. Mills, A. A. Herriot, and Ida E. Brown Sanderson (1947-1951). GR8461, A0233, C131-1, page 75. “Tenders for building,” Manitoba Free Press, 10 May 1913, page 2. 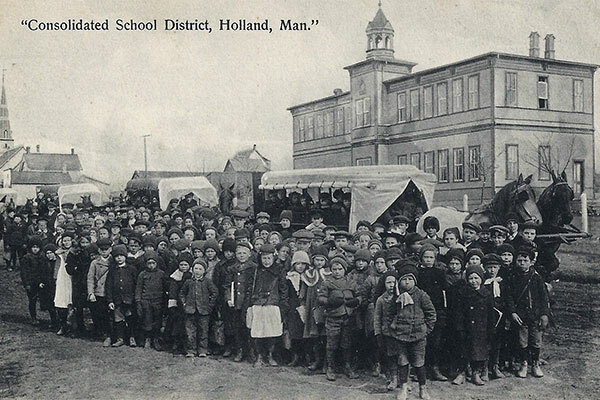 “Holland school formally opened,” Manitoba Free Press, 18 December 1913, page 7. “Holland, Man”, Western Canada Fire Underwriters’ Association map, Archives of Manitoba. We thank Nathan Kramer and Rob McInnes for providing additional information used here.